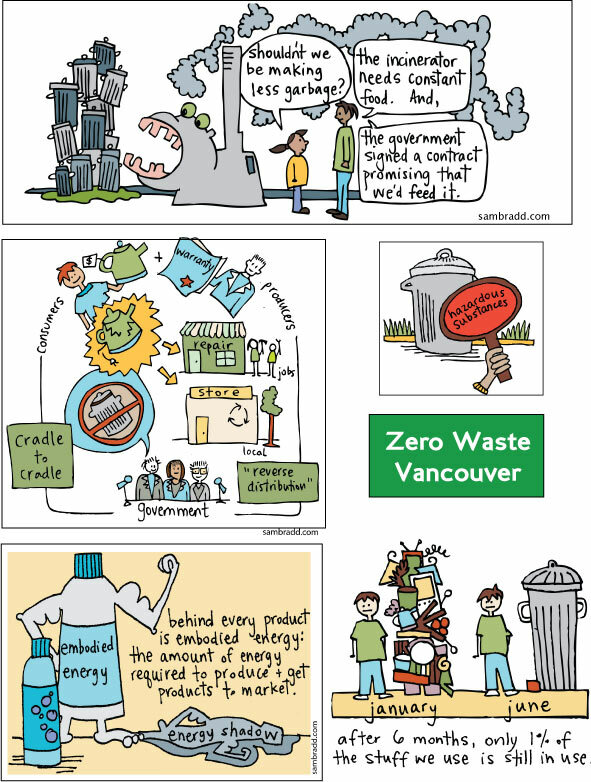 In 2008, Zero Waste Vancouver worked to raise awareness about incineration in Metro Vancouver. They published a newspaper broadsheet with four pages, and wanted cartoons to make the issues more understandable. I illustrated a garbage monster, toothpaste with ’embodied energy’, and other visuals to support their campaign goals. Their broadsheet is sourced and referenced. The quote about 99% of things we buy are only 1% in use six months later is by Annie Leonard’s The Story of Stuff.